Harissa typifies Tunisian cuisine. It is used at table as a condiment. 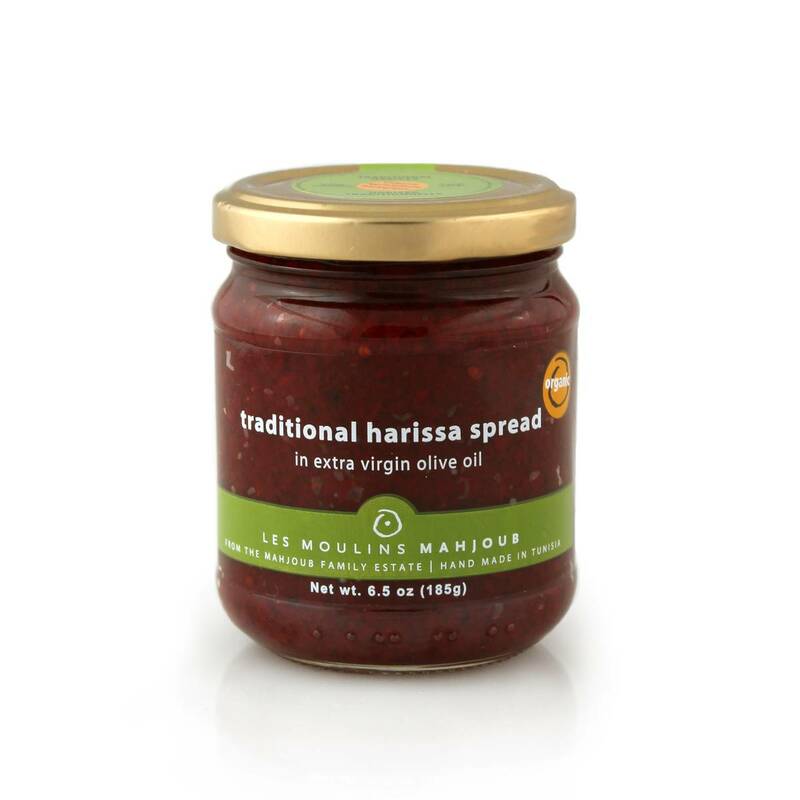 Diluted with stock or water harissa is used to season vegetables, couscous and stew. To make harissa, two varieties of sweet peppers and one hot pepper are sun-dried. They are ground with dried garlic, a bit of tomato and olive oil, a little salt, cardamom and coriander. Spread it on bread for crostinni or as the base of a tartine. This version of harissa delivers depth of flavor and medium strength smoky heat. Use harissa wherever you ordinarily consider hot sauce. Harissa is one of Alain's (our founder) refrigerator essentials. Read here why.